It came together very quickly, we were at the beginning of a huge Chinook and I only had a few days to plan. I live on an acreage near our city so location was a no-brainer: my garage and yard. I advised all my parents via email on the Sunday before our Wednesday meeting with a map and a “what to wear” list attached. I had a huge positive response from my parents and had a full compliment of volunteers to help us that night. 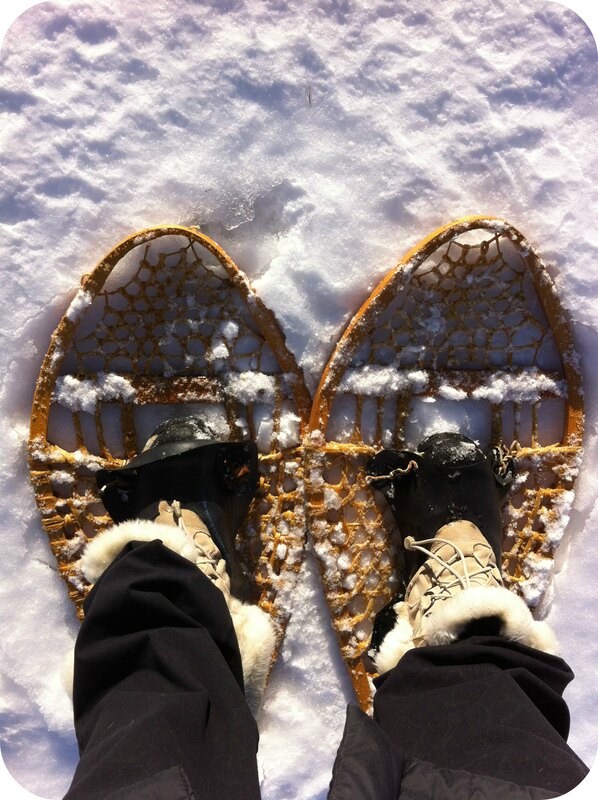 This entry was posted in Camping & Outdoors and tagged challenge, outdoor activities, sparks, winter fun. Bookmark the permalink. 3 Responses to Sparks CAN Snowshoe! It is never too early to introduce the girls to the value and beauty of the wilderness and outdoors at its best. This is how we can teach the girls to leave a legacy for others to enjoy. I was able to get my appreciation for the outdoors by attending camps, and other camp and outdoor skills that I have learned through my girl guiding years.